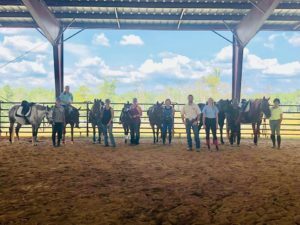 *This Fast Track Weekend is a 2-day program that is completely customized for you and your horse! *Unlike most “clinics” everyone does not work on the same thing. While some may be working on obtaining a balanced seat, others may be working on jumping, reining, or advanced maneuvers! *This program is NOT discipline-specific, nor is there any age limit or skill limit! All are welcome! *You will receive an individual plan on Friday that is designed for you and your horse! *Whether you need help with groundwork or under saddle work this weekend has you covered! *Small number of participants (10 max), each participant receives plenty of one-on-one time with Scott!